What is an ‘information memorandum’ and what does it need to contain? An information memorandum, sometimes also known as a sales memorandum, is a document produced prior to selling your business, and essentially functions as your opening pitch to any prospective buyers. Details of how your company operates - what you sell, or what service do you operate? How do you buy raw materials? How do you produce the end result that you sell? How is your product bought and sold? Details of the premises you operate from. Are they owned, leased, or do you work from multiple locations? Give an outline of your customer base. Include details of your typical customer and any key customers who are particularly important to the business. Illustrate the general financial health of the business by providing historic turnover and profit figures, details of the business's assets, and any company debts or other liabilities. Give a projection for the business going forward, such as profit forecasts. Lay out your expectations regarding the selling price of the business, the terms of sale and desired time scales for completion. The length and complexity of the information memorandum will largely depend on the size of your business and the amount you are likely to sell it for; a larger, more valuable company will often necessitate a longer and more detailed memorandum to be produced. At this stage you want to ensure you include enough information to present your business in the best possible light to maintain the interest of potential investors; however, you must also be careful not to divulge too much information which could be of use to your competitors. The distribution of this memorandum will typically be done following receipt of a signed non-disclosure agreement (NDA). This gives you legal protection against those in possession of the memorandum from distributing the information contained without your express prior permission. Next Article: When is the right time to sell my business? 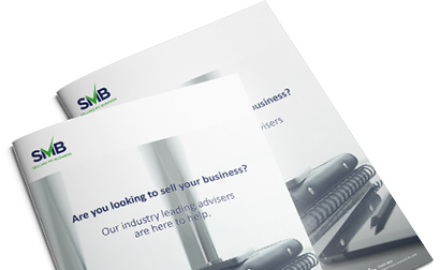 Previous Article: What are the benefits of using an adviser when selling your business?